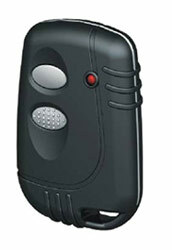 The I-Key remote is a trackable remote control as its individually ID and work with most access controller. How remote control / transmitter work? Most remote control works the same way. When the transmitter is press, it sent a preset code to a receiver that is also preset with the matching code. The Receiver will authenticate the code and the relay inside the receiver will activate, this signal is then feed into the controller of the barrier, automatic gate system or access control doors to open or close this system. The Preset code is set by either dip switches or code learning. What makes I-Key different from normal remote control? With I-key (Intelligent Remote Control-IRC) the remote control system provides an added layer of security to your access control system over and above the standard Wiegand format. 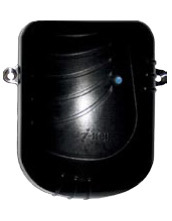 As i-Key pendant and receiver are encoded with a unique customer code, so that Remote Control Codes information only gets to the access control system when customer codes match. The result of this is an extremely secured system, reducing the risks of compromised data or duplicate pendants being passed to the access control system which can be common place on less secure technologies. Ultra High Security can be provided by combining the I-Key with a custom facility / site format for the customer. i-Key pendants provide a safe and simple way to control access to any facility. When a button on the pendant is pressed the unique pendant number and site code are sent securely via Radio Frequency to the receiver to be decoded. Once decoded the code is transferred to an access system via the industry standard Wiegand protocol. I-Key is the smart and simple way to control access to your secure areas such as boom gates, rising barriers and doors. Cutting edge technology allows I-Key to enter multiple facilities with just one key. Use I-Key and your secure access could not be simpler! Void and Validate an I-Key pendant in your access control system just like a proximity card. I-Key receiver connects to an access control system just like a reader. Combine the convenience of long range access control with the simplicity of close range proximity readers with i-Key pendants. I-Key supports reader technologies such as HID, Indala, EM and Keri proximity along with Mifare, iCLASS and Tecom smartcard technology to work just like a proximity card. i-Secure technology provides an added layer of security to your access control system over and above the standard Wiegand format. With i-Secure the i-Key pendant and receiver are encoded with a unique customer code, so card information only gets to the access control system when customer codes match. The result of this is an extremely secure system, reducing the risks of compromised data or duplicate pendants being passed to the access control system which can be common place on less secure technologies. Ultra high security can be provided by combining i-Secure with a custom facility/site format for a customer. The i-Key 6 PIN receiver has been designed to connect to a standard gate motor drive control. The i-Key pendants can be learnt into each 6 PIN receiver (Up to 250 users) to allow the user to operate the gate from the safety of a vehicle. i-Secure technology is also incorporated into the 6 PIN receiver. i-Secure technology. Receivers and pendants require matching customer codes to function. The customer code reduces the risk of compromised data or duplicated pendants. The i-Key receiver’s dual channel Wiegand output easily interfaces with most access control panels. The receiver outputs standard Wiegand format data from the pendant and will output data as encoded. Warranted against defects in materials and workmanship for 12 months after invoice date.